In 1961 the Peralta Villa’s a 20-year-old WWII housing unit was being demolished to make room for new low rent apartments. They were located in the area bounded by 7th, 8th, Center and Cypress Streets. While clearing the land workman discovered a concrete-lined tunnel – long forgotten and never recorded on the city records. Was it a WWII bomb shelter? Did rum runners use it during prohibition? The guesses proved to be wrong but an interesting story. The tunnel (built between 1905 -1910) was the work of Louis MacDermot the son of a prominent early Oakland family who owned the land. Their home (1407 8th St) was built sometime before 1876 (some say it could have been the French consul). Charles F. MacDermont’s name appears on title records as early as 1870. The home was a showplace with landscaped grounds covering the entire block. In the 1920s the city proposed buying the site for a park, but the plan fell through. The home stood empty and decaying behind a wooden fence until 1941 when it was razed to make way for the war-time housing. The tunnel went undetected then. The concrete-lined tunnel ran across the stable yards from the brick boiler room near the family home to a machine shop. It was about 3 feet wide and 4 1/2 feet high. There were L-shaped hooks with oval rollers embedded on the sides. Conductors for electrical wire had been installed on the ceiling. The hooks apparently held steam lines which heat the machine shop. Railroad buffs might know the name Louis MacDermot. He built miniature railroads. He and his mechanics designed locomotives, freight cars, and coaches in great detail. In 1913, he was awarded the concession to build and operate an intramural railway at the Panama Pacific International Exposition due to open in February 1915. He started construction in his “back yard. 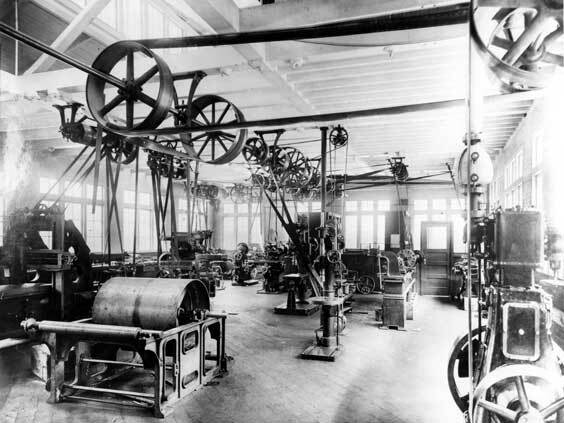 The first completed locomotive was the work engine No. 1500, an 0-6-0T type. 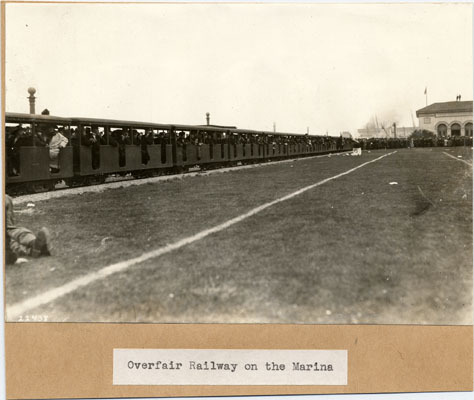 The Overfair Railway, that ran along the Marina between Fort Mason and the Presidio. 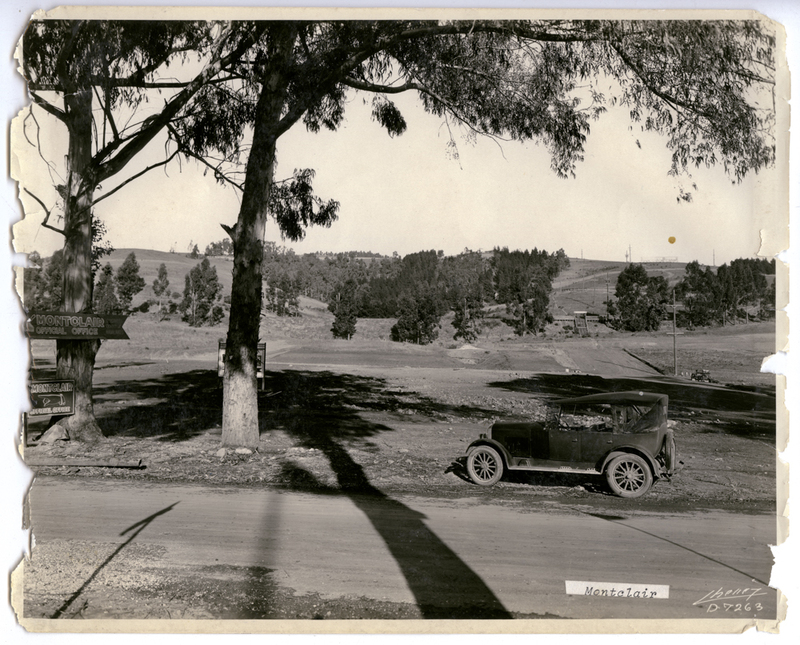 A 10 cent fare provided transportation to the Polo Field, State / Foreign buildings, California Building, Exhibit Palaces, Yacht Harbor, and The Zone. 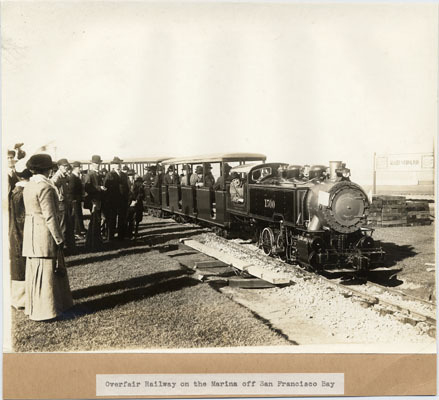 Overfair Railway on the Marina – San Francisco Bay -1915 –SAN FRANCISCO HISTORY CENTER, SAN FRANCISCO PUBLIC LIBRARY. After the Fair, MacDermot became a recluse and stayed on the deteriorating grounds of the family’s Oakland mansion. Unfortunately, this fate was also shared by the Overfair Railway’s locomotives and wooden passenger and freight cars. The locomotives had the luxury of spending their “retirement” in sheds. The others did not fare so well.